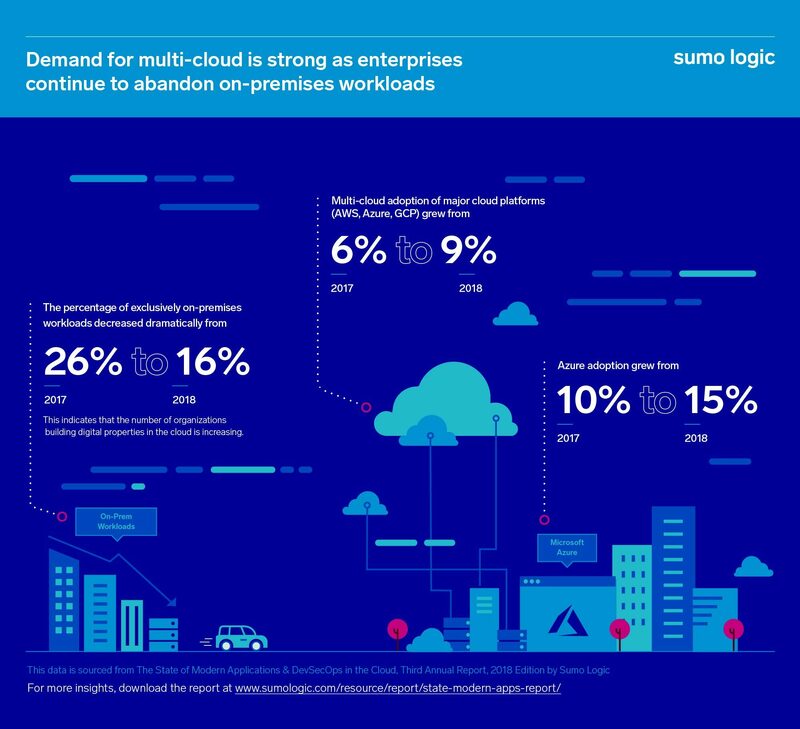 Sumo Logic published it’s second annual State of Modern Applications and DevSecOps in the Cloud report, which offers data-driven insights, best practices and trends by analyzing technology adoption among more than 1,600 Sumo Logic customers who run massive mission-critical modern applications on cloud platforms like Amazon Web Services (AWS), Microsoft Azure, and Google Cloud Platform (GCP) as well as hybrid cloud infrastructures. What’s the data say about the demand for multi-cloud environments? Quite a lot! In fact, as enterprises continue to move parts of their workloads from on-premises environments to the cloud, they are increasingly looking to customize their journey and build modern day application stacks by leveraging multiple cloud platforms. It’s no doubt that AWS continues to dominate the public cloud space (we have seen this for 3 years running), however, Azure adoption has doubled over the past year and GCP continues to gain traction. Want to know more about these year-over-year trends? Download the infographic for more insights or read the press release and latest blog!